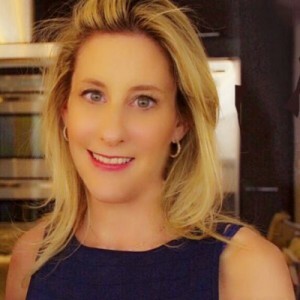 Rachel Blakeman, JD, LCSW-R is a psychotherapist and psychoanalyst, an executive advisor to senior level executives and partners and a business and contested situations strategist in private practice in Manhattan. Ms. Blakeman’s legal and psychoanalytic training and experience alongside her entrepreneurial successes make her uniquely qualified to provide effective and sophisticated advisory services to the highest level executives in diverse company environments. As a Psychoanalyst / Psychotherapist, Rachel works with individuals and couples providing insight-oriented therapy and analysis to assist those struggling with anxiety, depression, relationships, health, work or other difficulties, to achieve happiness. Rachel is a leading strategic consultant whose clients range from attorneys, senior level management of large and small companies as well as individuals grappling with divorces or work-related matters including business negotiations, inter-office dynamics and litigation/settlement strategies. Rachel is on the faculty at the Institute for Psychoanalytic Education where she is the Director of its Distance Learning Program, Co-chair of the Treatment and Referral Clinic, serves on the Board of Trustees as well as other committees, supervises candidates and teaches Psychoanalytic Theory and Technique. Rachel is a graduate of Columbia College, Columbia School of Social Work, Boston University Law School and the Institute for Psychoanalytic Education affiliated with Langone Medical Center. She is an entrepreneur whose business acumen combined with her psychoanalytic perspectives allowed her to continue a thriving private practice while simultaneously building a company for which she used her psychoanalytic and legal training to grow until its eventual sale in 2009. In the beginning of her career, Ms. Blakeman was a corporate finance and mergers and acquisitions associate for Skadden Arps and following the completion of her Master’s, she provided continuing legal education courses specifically tailored to lawyers on various mental health related topics such as effective communication skills, anxiety, depression and substance abuse.